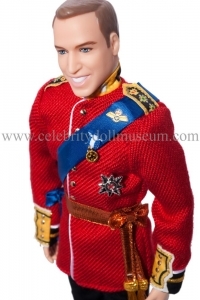 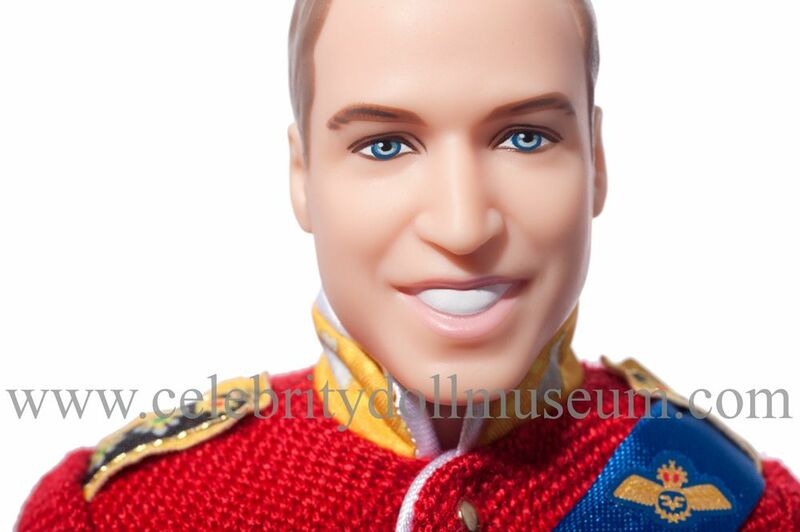 The Prince William celebrity doll was released in 2012 by Mattel as part of the “William and Catherine Royal Wedding” set with a Catherine Middleton bride doll to commemorate the royal couple’s first anniversary. 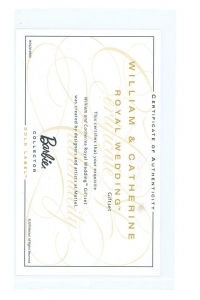 The set is part of the Mattel Gold Label Barbie Collection and was designed by Robert Best. 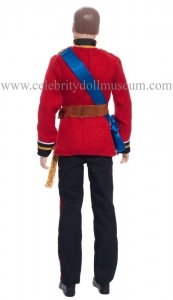 The Prince William doll wears a red Irish Guard uniform including replica medals, blue sashes, copper ribbon belt, and gold tassels. 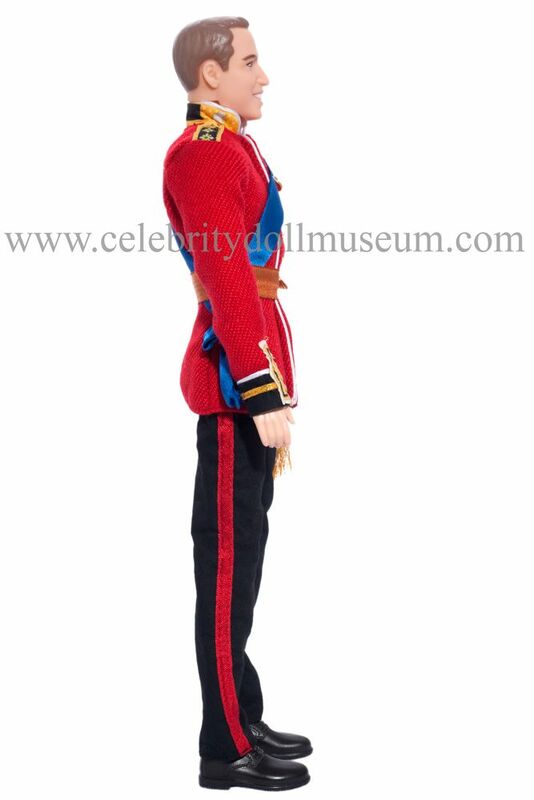 The pants are black with red satin stripes on the sides. 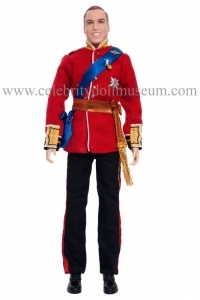 The shoes are black plastic with, surprisingly for an expensive Gold Label doll, no socks. 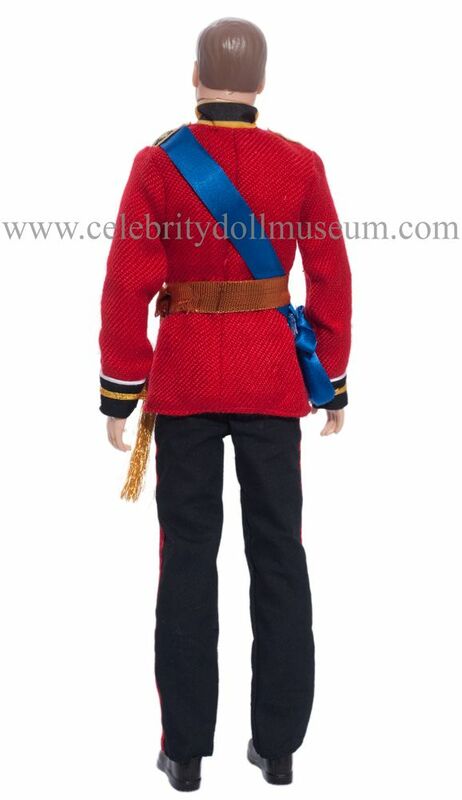 The clothes are only removable by cutting threads keeping the uniform in position. 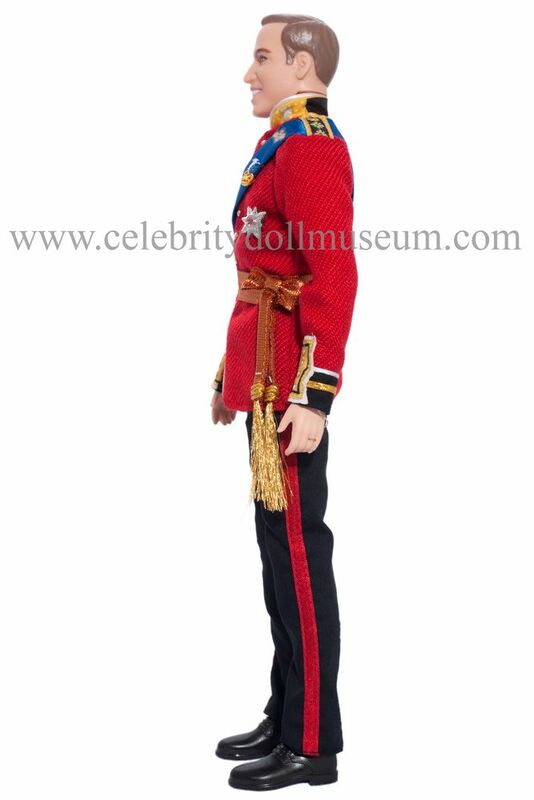 The doll is fully articulated with the knees covered in removable braces to keep the legs straight in uniform. 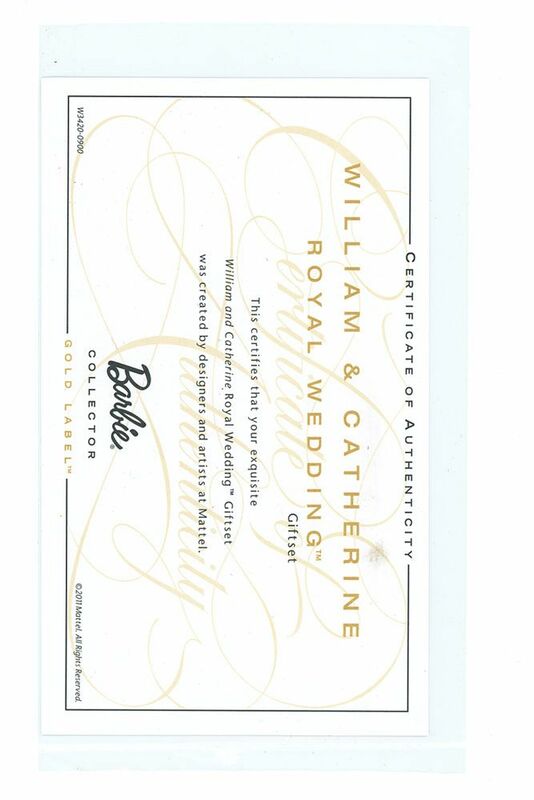 The set comes with black plastic stands and a Certificate of Authenticity. 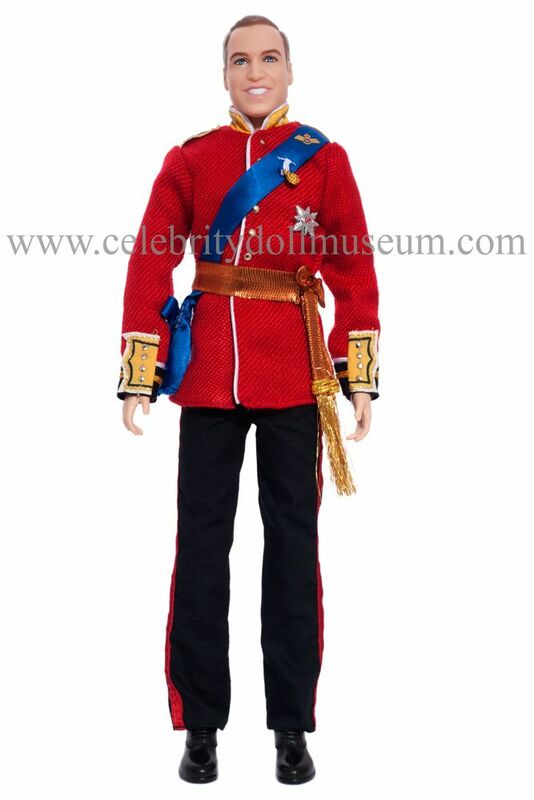 The museum also has the Kate Middleton doll and the Princess Diana wedding doll.